Outdoor gas grills are a mainstay of most households. It is an easy way to prepare meals and with nice weather, they become the centerpiece of outdoor picnics and gatherings. There are lots of options available out there and it can be hard to know what to buy. 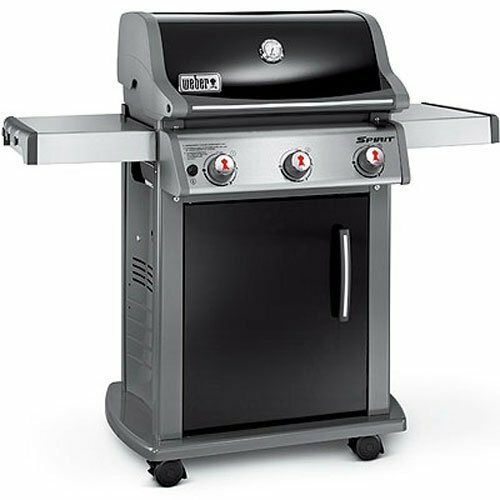 Below we have listed and reviewed the five best outdoor gas grills you can currently buy online. This 3 burner, propane gas grill puts out around 32,000 BU per hour. This is to the lower end of most models but is usually sufficient for most applications. It is more compact with only 424 square inches of cooking space with an additional 105 square inches of warming space. It has porcelain enameled cast iron grates with flavorizer bars. These specially designed bars are meant to catch grease and drippings and allow them to vaporize and smoke. The idea is to put more flavor into the item being cooked. After a portion of the grease vaporizes, the rest of the drippings are funneled away from flames of the burners. The stainless steel burners allow for even distribution of flame and heat and the easy to read fuel gauge ensures that you never run out of propane. It uses a standard 20-pound propane tank which is not included. It also features an electronic crossover ignition system that uses one AA battery which ensures easy, push-button lighting at any time. It has a lid to keep heat close to the grill and 2 stainless steel side tables. These tables, however, become one of the drawbacks of the unit as they do not fold down which can be an issue for those lacking space. The other drawback is the price. 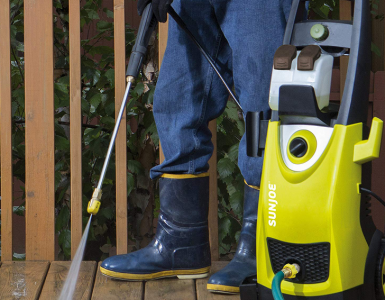 At around $500, this unit is far above the usual price for these sorts of features. This 3 burner, propane gas grill puts out 36,000 BTU per hour for a gas grill that really brings the heat. It features an electronic ignition system for carefree lighting that won’t fail when you need it most. 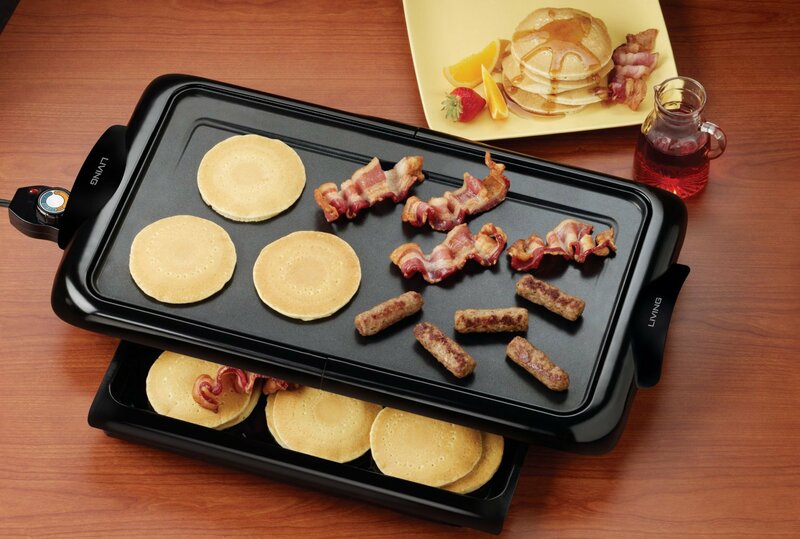 It has two porcelain enameled cast iron grill plates for stick-free cooking and easy cleaning. 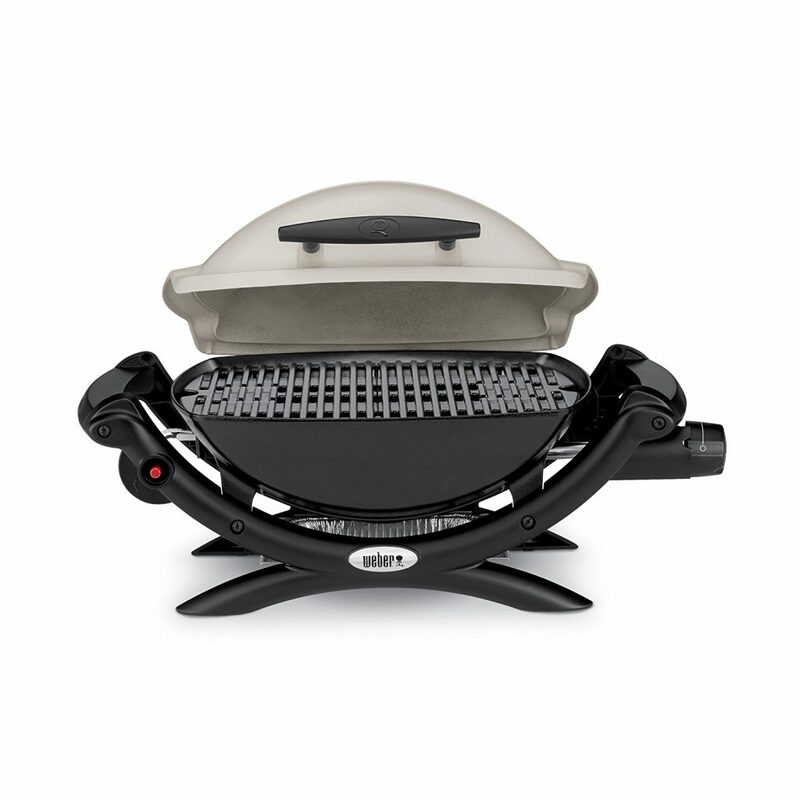 It also has stainless steel burners which evenly distribute the heat for the perfect steak, hamburger, or grilled vegetables and the control valve allows you to flawlessly control the heat on the grill. The grill has a reasonable 503 square inches of cooking area and it has a removable tray and cup to easily clean up grease and drippings. The design of this grill is optimized for ease of use. 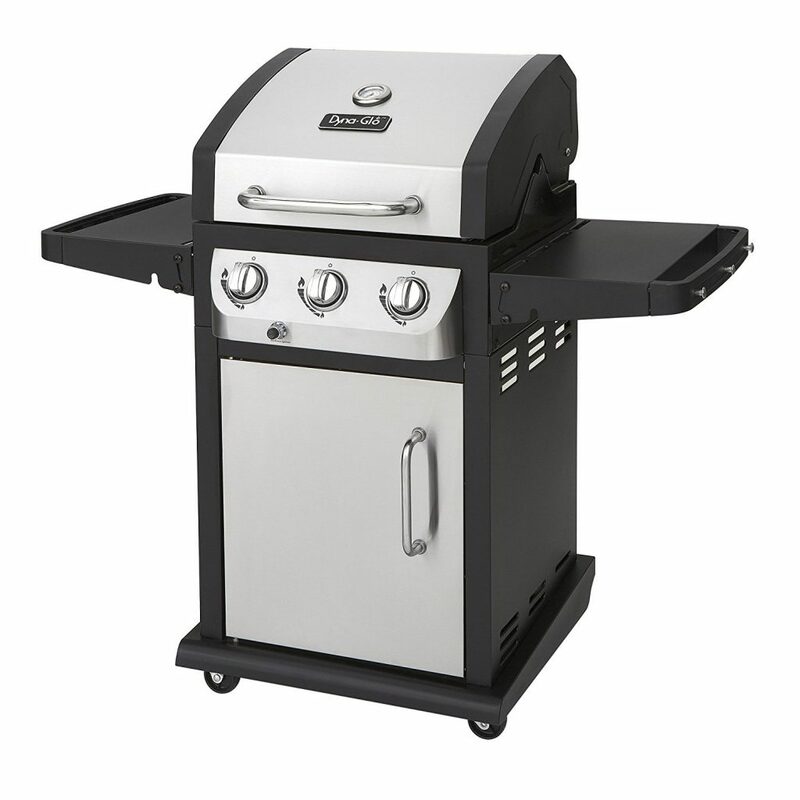 The grill has four caster wheels for effortless movement and two of those wheels lock to keep the grill in place. It has two side shelves that collapse down for storage in smaller spaces and has an integrated towel bar and tool hooks which are great to store all your barbeque needs. It also features a double wall lid for insulated cooking and even features a temperature gauge on the lid for intense cooking control. The main drawback of this unit appears to be how easily the smaller components such as screws rust. With a cover which can be purchased separately, this fault becomes a non-issue. At around $270, this grill is not outrageously expensive and appears to fit its price range. This Weber gas grill model is for those looking for a nice portable unit or a smaller unit for a small balcony or patio. It has only 189 square inches of cooking space and one stainless steel burner with an output of 8500 Btu per hour. For the unit size, this seems to be fairly reasonable. It has porcelain enameled cast iron cooking grates with an aluminum lid and body. It features side handles and small feet upon which it rests. If you want it to stand more like a traditional grill, you’ll want to purchase a stand which is sold separately. 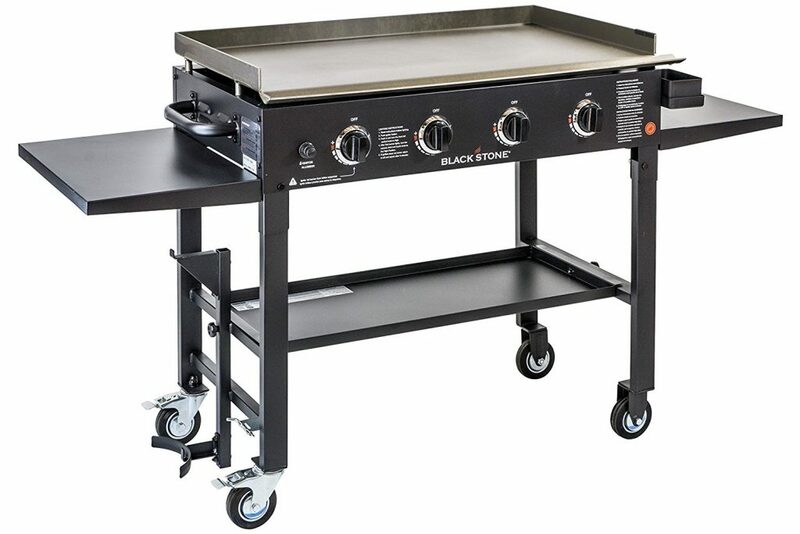 It comes fully assembled out of the box which is great for folks who don’t have the time or tools to put a full-size grill together. It has push-button ignition for easy lighting and has a dial heat control to regulate the temperature. It also has removable grease pans for easy cleaning. Please note that this unit does not run on the standard 20-pound propane tank straight out of the box. It requires the disposable 14.1 or 16.4-ounce propane cans you usually find in the camping sections at stores. You can purchase a conversion kit for it, but that is not included in the rather reasonable price of around $160. 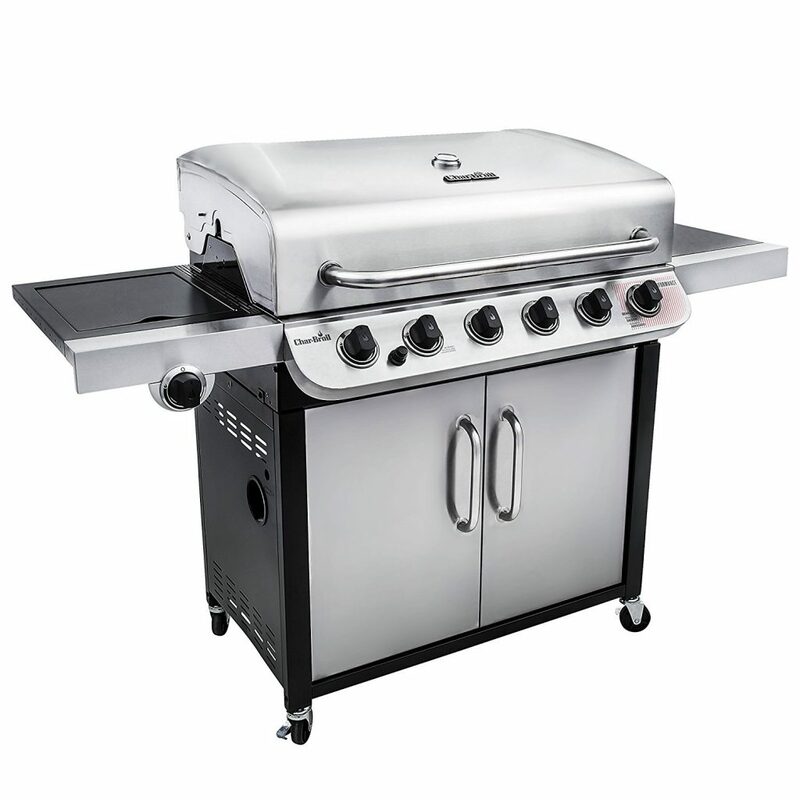 This 6 burner propane gas grill, manufactured by Char Broil, is a behemoth in the world of outdoor grilling. It features 6 stainless steel burners that put out a combined 60,000 BTU with an extra lidded side burner that puts out an extra 10,000 BTU that is perfect for sides and sauces. As an added bonus, the 6th burner features a seer setting that is perfect for steaks. It has 650 square inches of main cooking space with an additional 280 square inches of warming space on a swing away rack. The inside features porcelain enameled cast iron grates and a removable grease pan for easy cooking and cleaning. It has an electronic ignition for carefree lighting and a lid mounted temperature gauge to keep track of the heat inside the grill. The outside features a stainless steel lid, handles, and large metal side tables. It runs off of standard propane tanks that you can find and refill at most home improvement stores. At around $335, this grill is a bargain for all the features. This outdoor grill is actually more of a griddle than a grill which makes it extremely versatile. It has four independent burners with each burner capable of putting out an impressive 15,000 BTU per hour. It has 720 square inches of cooking space made out of thick cold rolled steel which makes for easy cleanup. The grill also has a built-in grease channel to funnel grease off of the grill and into an easily managed and cleaned pan. It features an electronic ignition system for simple lighting which is powered by one AA battery. It has a powder coated black steel frame with four industrial-strength caster wheels. It uses a standard 20-pound propane tank which is stored under the left side shelf. At around $260, this versatile grill is a great deal. 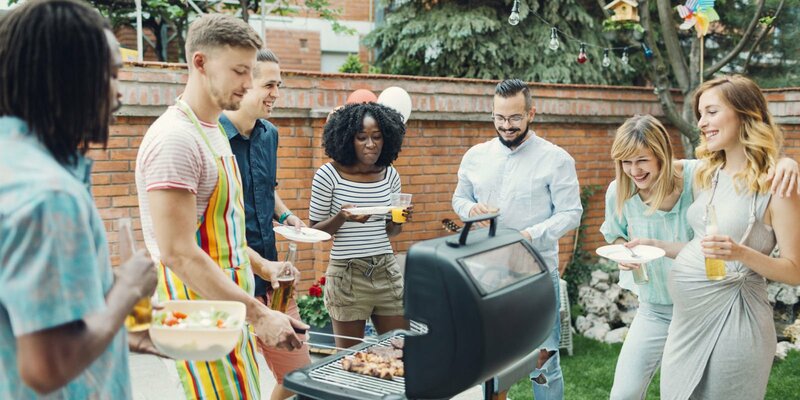 There are a lot of options out there when it comes to gas grills and hopefully, this list gives you a good overview of what is available.